The next big thing to hit the UK. Whether you are looking for a profitable part or full time business to run ... or to add a new and exciting product to your existing operation. SnowyCones™ will be for you. SnowyCones™ makers are pure profit making machines turning ice cubes costing a few pence into SnowyCones™ selling for pounds. 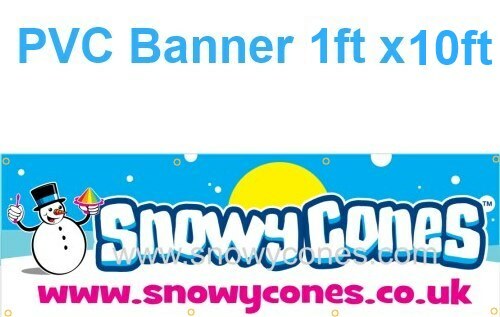 SnowyCones™ yield excellent profit margins of up to 80%. SnowyCones™ packages will pay for themselves. 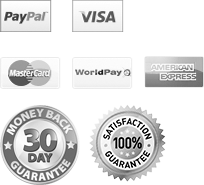 Included in every package are sufficient syrups and consumables to recoup your entire outlay. 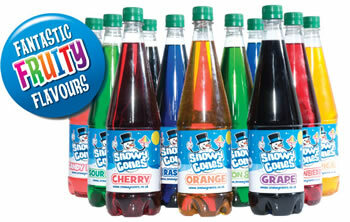 Easy to afford and tax efficient rental or purchase deals are available on selected SnowyCones™ packages. Making SnowyCones™ is easy. There is virtually no preparation time. 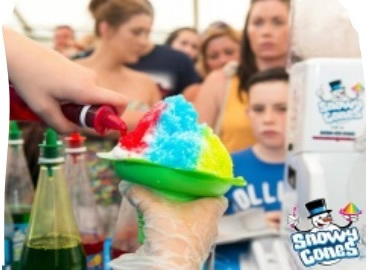 Turn up, pop the ice into the SnowyCones™ maker, turn on, out comes the snow pour on syrups and serve in seconds - we now have a 12v option for the mobile market too. 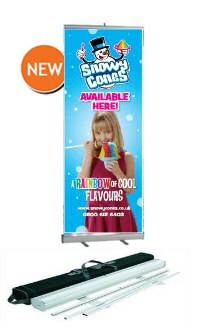 A Snowycone™ is NOT just a Kiddy slush - meaning you don't just sell to the children - you sell to the entire family. Especially with our new adult flavours. Everyones craving for a Snowycone™. Completely new to the UK and Europe. The most exciting development the food and leisure industries have seen for over 25 years.